My practice takes place at the intersections between movement, architecture and performance and includes solos, group works for theatre, performance installations and site responsive works. In 1997-99 I was an Associate Artist and then Artist in Residence at the Place Theatre London. During this time together with sound artist, Russell Scoones, I founded Carol Brown Dances. The company has been a vehicle for our collaborations and has toured throughout the world. In 2009 I returned to New Zealand to take up a new post as Senior Lecturer in Dance at the University of Auckland. I teach somatic informed contemporary technique, experimental choreography and improvisation. I foster work that is experimentally collaborative and evolves through dialogue with other art forms and media in particular architecture, music and media design. My work has been supported by Arts Council England, Creative New Zealand and the British Council. I have received a number of awards including a Jerwood Award, a NESTA Dream Time and in 2003 the Ludwig Forum International Prize for Innovation. 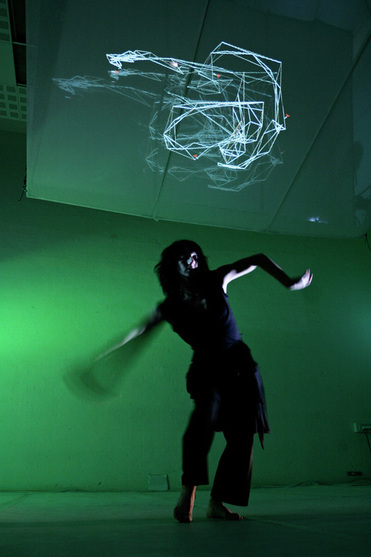 I am involved in international collaborations with performance designer, Dorita Hannah including Touch Tower (Prague 2003), Her Topia (Athens 2005) and the multi-site performance event for STRUT Dance, Tongues of Stone (Perth 2011). Since returning to New Zealand I have developed collaborations with sound artist, Phil Dadson, Urban Devas (for the Living Room and BLOW Festival); with media designer, Anne Niemetz, Standing Waves (currently in production); and Touch Compass with SLIP – I’m not falling I’m just hanging on for as long as you hold me. I am currently developing a new duet for Philadelphia based company, SUBCIRCLE. I live in Auckland with the composer Russell Scoones and have two sons. I continue to guest teach, present and perform my work internationally and am a Visiting Professor in Dance at Roehampton University, and Brighton University.